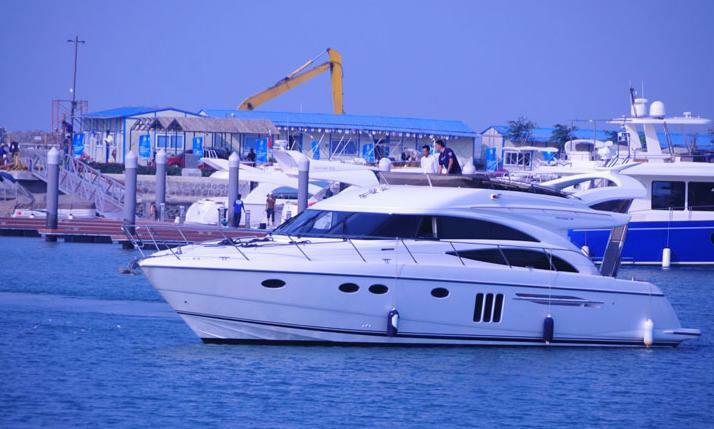 With less than 2 weeks before the upcoming Hainan Rendez-Vous 2013, which will run March 30 to April 2, a good number of yacht brands have confirmed attendance at the event to display their vessels at the Sanya Visun Royal Yacht Marina this year. To date, some 20 super yacht brands from the 5 world’s top luxury yacht groups including Azimut Benetti, Fipa, San Lorenz, Fincantieri and Alu Marine as well as another 130 regional yachts brands will be displayed at the exhibition site. According to the organizing committee, this year’s show will be on a far larger scale thanks to the expansion of the display area and far more high-end luxury varieties organized by the event sponsors and participants. RMB50m+ super yachts on their first public appearance. Besides, private jet fans will enjoy the two new private jet companies, European Helicopter Company and Piaggio Aero Industries Company, showcasing their fleets during the static display.